Injuring one of your feet while playing a sport is fairly common. Despite all the bones, ligaments, tendons and muscles in your feet, they can be quite fragile when placed under awkward pressure. A steroid injection in the foot eases your pain. And if you suffer from rheumatoid arthritis in your foot, a cortisone injection in the foot can help. Get a cortisone injection for foot pain so you’re not hobbled by an injury or a disease. Make your appointment today in our sports injury and pain management clinic of New York to get your foot pain evaluation and treatment. Even if you’re not on your feet all day, your feet still get a workout from your normal daily activities. Pain and inflammation in your feet not only slow you down, but also impact your attitude. Instead of suffering through weeks of foot pain, see your sports medicine and pain management doctor in Manhattan for a cortisone injection in the foot. Cortisone is a corticosteroid medication. It’s derived from the most common hormone that your adrenal gland releases in times of stress. It actually contains a healing mix of anti-inflammatory and pain-relieving medicine. Your sports doctor often injects a cortisone shot into a painful joint to ease the pain, reduce the swelling and promote healing. Getting the shot is a simple procedure done right in your doctor’s office in New York City. Depending on the reason for your steroid injection in the foot, your physician may put all of the medication in one insertion point or in several, to surround and coat the problem area with the medicine. The whole procedure takes less than 15 minutes. The injection ingredients include saline, steroids for inflammation and a local anesthetic for immediate pain relief. So the injection eases your pain right away. But after the anesthetic dissipates, within about three hours, the pain often returns. The steroid anti-inflammatory drugs often don’t start working for a couple days after your injection. At that point, you’ll experience what pain relief from a steroid injection in the foot feels like. And relief lasts for several months. You may feel a little more pain in the days that follow your injection, but the pain should disappear by the third day, as the steroids start working. If the pain is drastically worse or you come down with a fever, contact your doctor right away. To prevent cartilage damage, your NYC pain and sports doctor limits the number of injections you can have to about three or four per year, spaced at least six weeks apart. Because of this limit, a cortisone injection in the foot is not a long-term strategy for chronic pain. It’s a technique for easing pain temporarily, while your body heals. The pain-relieving properties and anti-inflammatory effects of a steroid injection in the foot can also help you deal with pain in other parts of your body. If it’s not your foot but your ankle that hurts, your doctor can give you an ankle injection to fight the pain of an ankle injury. In most sports, your feet and ankles take a beating; spare yourself the pain of an injury with a cortisone injection. 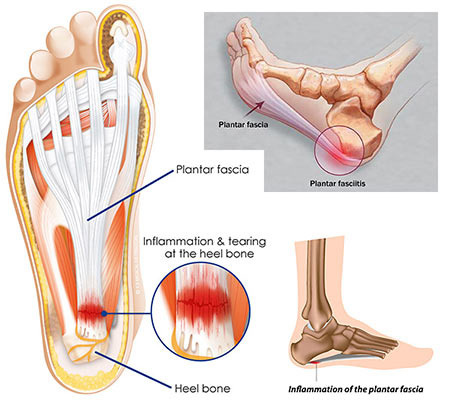 Do you have any questions about the foot pain treatment we offer in NYC? 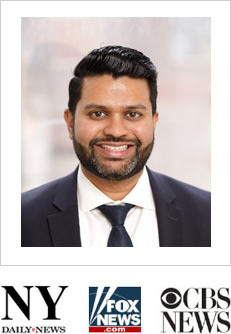 Would you like to schedule an appointment with the best rated foot pain management doctor Febin Melepura MD of sports pain management and injury clinic in New York? Please contact our office for consultation with the pain relief specialist in Midtown Manhattan.